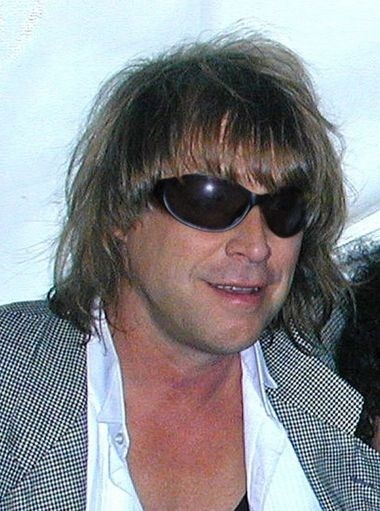 Terry Adams (born August 14, 1948) is an American composer and pianist, best known for being a member of NRBQ. He sung "Can't Buy Me Love" in the season 10 episode "The Old Man and the "C" Student", "Mayonnaise and Marmalade" and "Me and the Boys" and voiced himself in the season 11 episode "Take My Wife, Sleaze", "I Like That Girl" in the season 12 episode "Insane Clown Poppy", and "They'll Never Stop the Simpsons" in the season 13 episode "Gump Roast". Modified on September 12, 2014, at 05:48.